The essence of this write up might be questioned due to the fact that the office of the First Lady is not recognized in the Federal Government of Nigeria’s constitution. But, first let me inform you of how sacrosanct the office is if occupied by the right person. I won’t be wrong if I say the office of the First Lady is more recognized than the office of the vice president. How many people even know we have a vice president? Can recognize his photograph anywhere? Yet even a crawling child, a keke napep driver, the old, young, the 9-5 guy knows our Deputy president, rather our First Lady. Thanks to her rib cracking choice of words and her ridiculous dress sense, she’s sadly more popular than the vice president. This happens not just in Nigeria alone; take for example USA, how many of us know who the vice president is? Or even his name? But everyone knows Michelle Obama. This shows the office of the First Lady must not be under-rated. 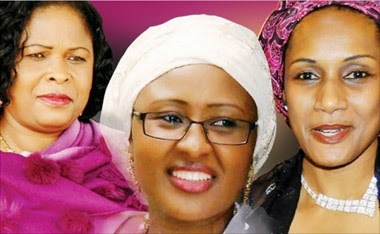 Now let’s open the book of records for the wives of the top three contestants in the forthcoming election. Current First lady, born and bred in Port Harcourt. She’s a graduate of Biology and Psychology (B.Ed) from the University of Port Harcourt. Popularly known to be at the fore front of her husband’s political campaigns, she’s a dogged fighter who is always ready to defend her husband and fight all his political enemies. Personally, I feel she calls the shot in her home due to her actions and trouble making skills, which makes me a little jealous of her. Her fight with Gov. Rotimi Amaechi of Rivers state is a very good example. Also, how she wanted to imposed Sen. Ladoja as the PDP Gubernatorial candidate. 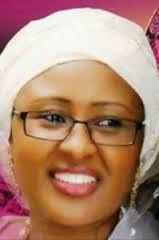 Immediately she became the became the First lady, just like the wife of the popular biblical king Ahab that wanted Naboth’s land, she went for the land of the former First Lady, Mrs Turai Yar’adua, that caused a little debacle between both families. The First Lady is involved with many charitable organizations in Nigeria that focus mainly on women and children. She is also the founder of several non-governmental organizations such as the A.Aruera Reachout Foundation, which focuses on educating middle-aged women. Although, we are yet to see the direct short term impacts on the lives of Nigerians. Famous for her entertaining grammar, her blunders are always a source of amusement to Nigerians. From heartbreaking sentences like “my husband and Sambo is a good people", "the president was once a child and the senators were once a children” etc, one would expect the First lady to be a woman of few words. With her very colorful and funny looking attires, the first lady always has something to say. Chai! Diaris God o. 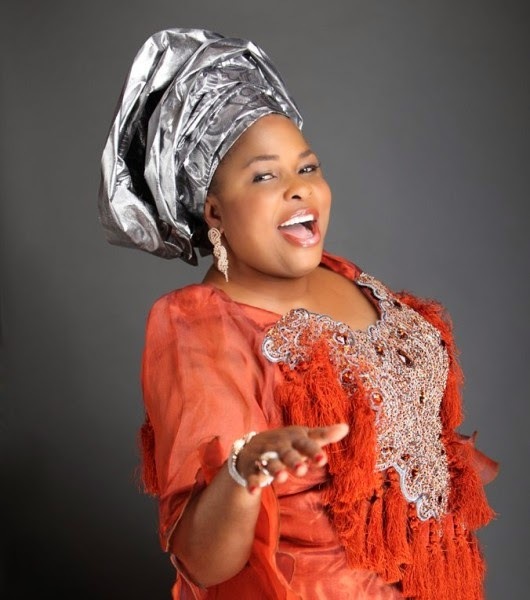 Wife of the former Vice President of Nigeria . Founder of Women Trafficking and Child Labour Eradication Foundation (WOTCLEF). WOTCLEF is dedicated to the eradication of human trafficking, child labour and violent abuses of the rights of women and other members of the society, as well as HIV/AIDS. Mrs. Titi Atiku is committed to building an international coalition that restores human dignity through empowerment, education and advocacy. During her tenure as the wife of the Vice President, there was reduction in the cases of human and drug trafficking. She provided the trafficked victims with counselling and other services to help them successfully reintegrate into society. She also provided primary, secondary, and tertiary education assistance to economically poor students, she used to run a rehabilitation centre that offers lodging, protection, school assistance, meals, and vocational training for these victims. She is also involved in the training of youths in life skills, empowerment, confidence, and character. In line with her vision to ensure all children’s rights are protected, she joined the African Union and the rest of Africa to commemorate the 2014 “Day of the African Child” with the theme for the year, “A child friendly free and compulsory education for all children in Africa,” the event was organized at Junior secondary school, Gwarinpa life camp, a model child friendly public school. She also advised and teamed up with her husband, Atiku Abubakar to provide scholarships for the escaped Chibok girls and other poor children. She is involved in developing training materials, conducting research, and publishing. She is also interested in advocating government and policy-makers for the rights of trafficked persons, the enactment of the Trafficking in Persons (Prohibition) Law Enforcement and Administration Act in 2003 and the subsequent establishment of the National Agency for Prohibition of Traffic and Other Related Matters (NAPTIP) by the Federal Government of Nigeria, was as a result of her direct legislative advocacy. 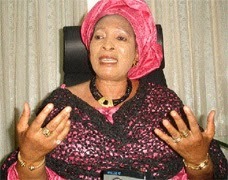 She presented the bill that led to the establishment of NAPTIP. In July 2003, the United Nations Economic and Social Council (ECOSOC) granted WOTCLEF a Special Consultative Status. This status gives WOTCLEF the opportunity to maintain regular presence at United Nations' meetings and conferences that are relevant to WOTCLEF's programmes and activities. Wife of the disciplined, Major-General ‘Saint’ (as his supporters will want us to believe) Muhammadu Buhari. She is not as popular as the two other wives. The last time I saw her was on NTA network news around 2011, when she was trying to raise fund for the female gender contesting for elections. She is not always in the press either for negative or positive reasons. If Buhari is elected as the President, much might not be coming from the office of the First Lady due to her reserved nature. On a final note, make sure you register and collect your PVC, vote and monitor your votes, and say NO to violence before, during and after election.